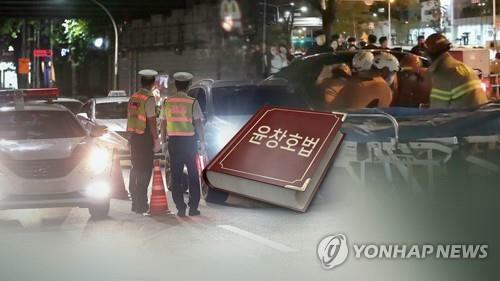 SEOUL, Nov. 29 (Yonhap) — South Korea’s National Assembly is displaying rare bipartisanship in a push to toughen the punishment for drunk driving. Parliamentary panels this week passed two revision bills related to driving under the influence (DUI) for possible votes in a plenary meeting set for Friday. Under the amendment, in the case of death caused by DUI, offenders will face a minimum three years in jail and up to life imprisonment, whereas the current law stipulates imprisonment for a limited term of at least one year. In the case of causing injury, the term will range from one year to 15 years, compared to the present situation of imprisonment of up to 10 years with no minimum term. The bills were submitted about a month ago by more than 100 lawmakers from both ruling and opposition parties and moved swiftly despite political tensions. The accident sparked public outrage and a heated debate over the strength of the punishment for drunk driving. ㅍㅍStatistics from the Ministry of Justice show that courts have tended to hand down to defendants charged with causing death by DUI about half the sentence demanded by prosecutors. As for cases that resulted in injury, 95 percent of the defendants walked free with suspended sentences. That ratio came to 77 percent for those who were found guilty of killing the victims by impaired driving. Police data show that 44 percent of DUI-related accidents in 2015-17 involved repeat offenders, of whom about 41 percent had more than three counts of DUI on their records. In August, the husband of a famed musical actress was charged for getting behind the wheel while intoxicated and ending up killing two of his friends aboard his car in a horrific car crash on a highway. 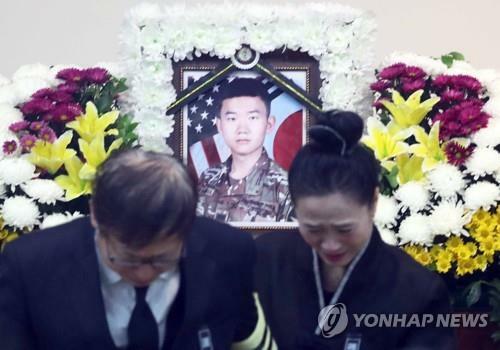 In May, a father of two preteens died in a tragic car wreck inside a tunnel in Yongin, east of Seoul, after a boozed-up man driving in the reverse lane swerved his Mercedes the wrong way and rammed into the taxi he was riding. The growing sense of public resentment toward drunk driving prodded President Moon Jae-in to specifically address the issue in a Cabinet meeting last month. “It’s time we put an end to the culture of perceiving drunk driving as a blunder,” he said. To that end, central and provincial governments have undertaken fresh policy initiatives so as to promote public awareness about the risks of drunk driving, including designating alcohol-free zones in public places like parks and playgrounds. Lawmakers are pushing for several other bills aimed at strengthening penalties for drunk drivers as well as punishing those who either coerce the driver to consume alcohol or other substances or aid and abet such consumption.